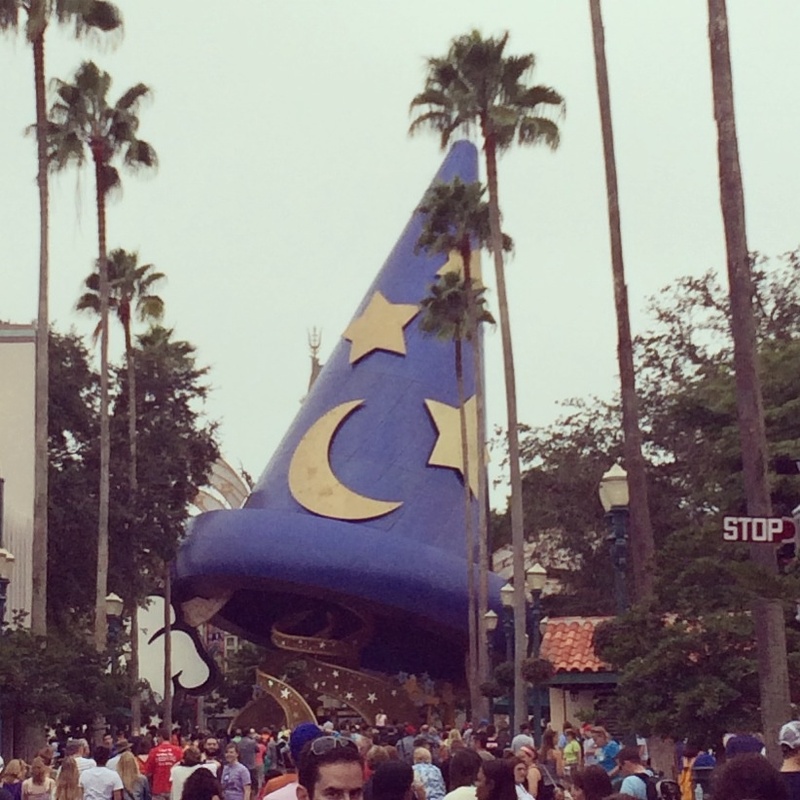 I realized that I never shared the non-food festival foods from Disney World this Fall. 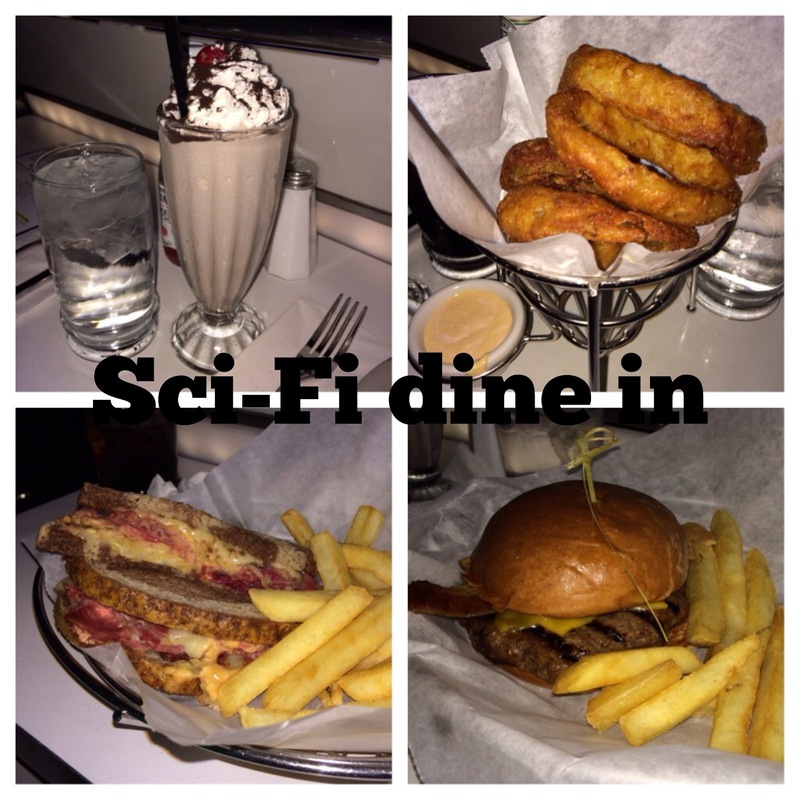 We ate at a few new places that we really liked and I wanted to share them with you! I will break everything down by park. 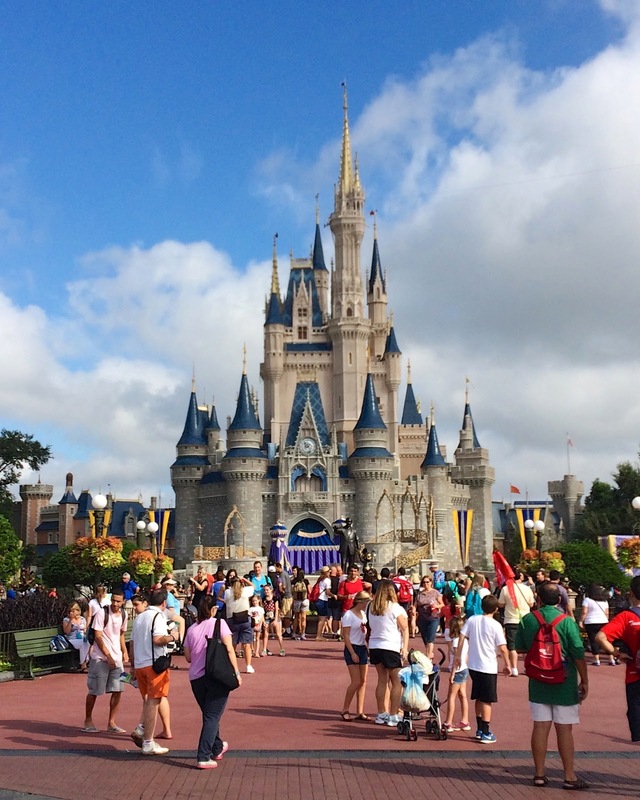 First up is Magic Kingdom. 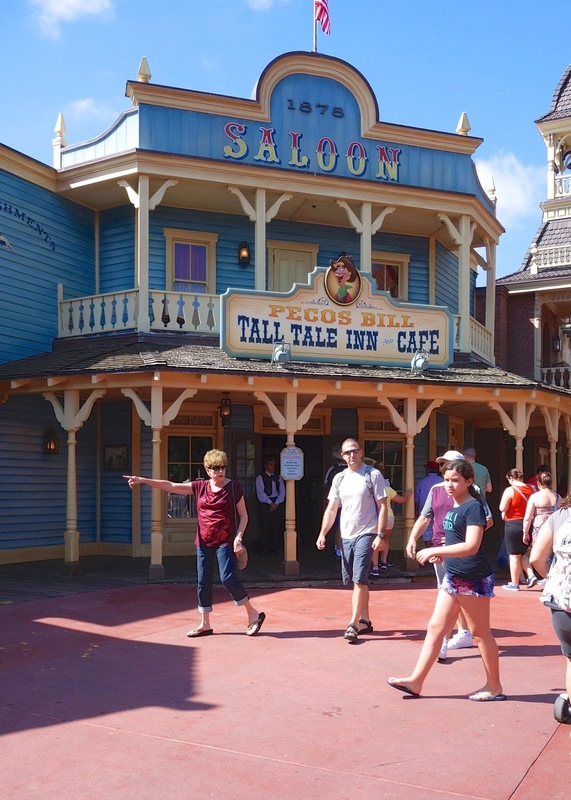 We always eat at Pecos Bill. They have some of the best burgers in the park. There is also a topping bar, so you can add all the extra toppings you want for free! 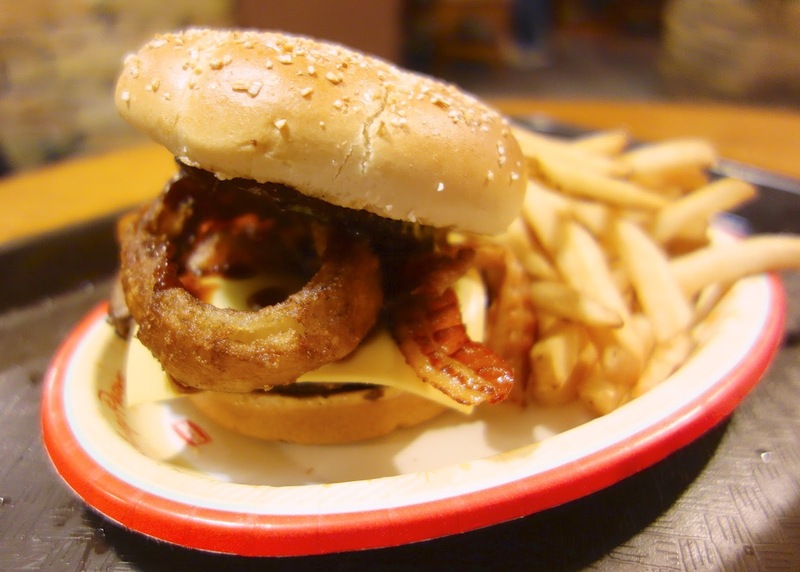 The BBQ Burger with the onion ring on top is our favorite! 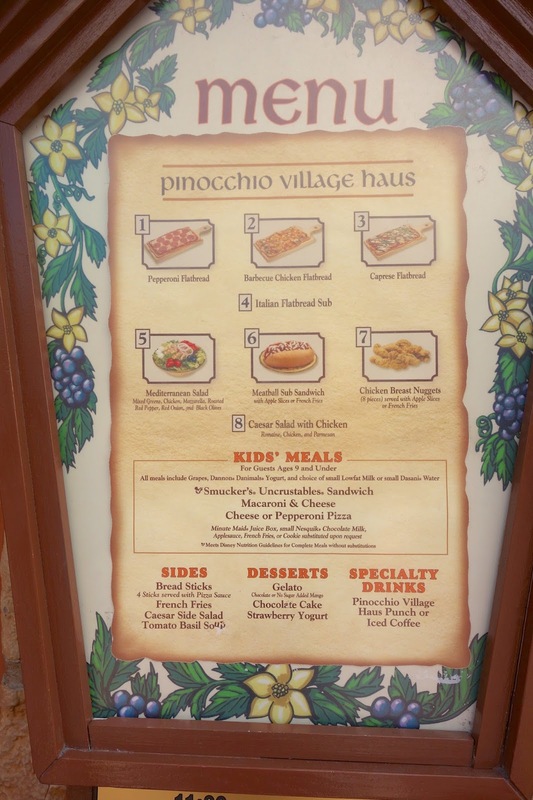 Pinocchio Village Haus has been on my list for a while. We finally ate there in October. We each got the pizza. 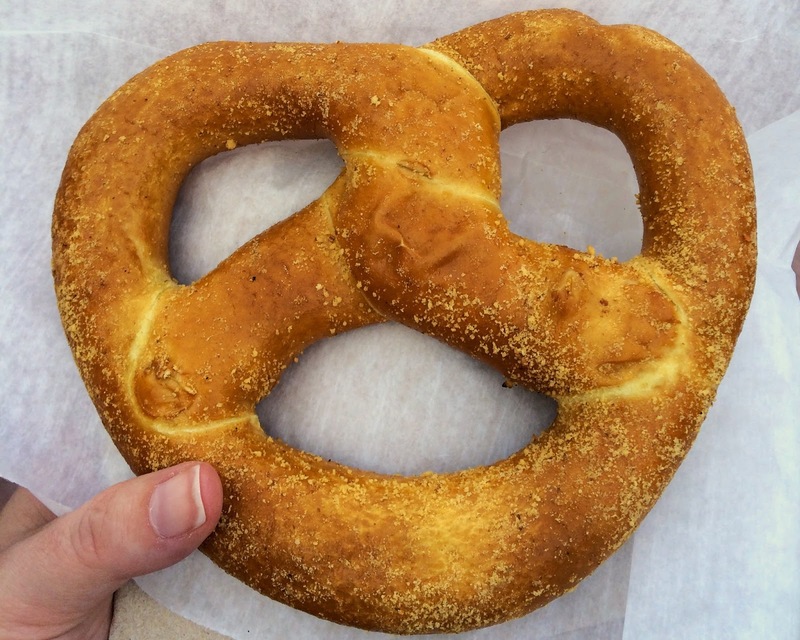 It was really good - especially for mass produced amusement park food. The tomato basil soup was better than any restaurant tomato basil soup. This will be a regular lunch spot for us. 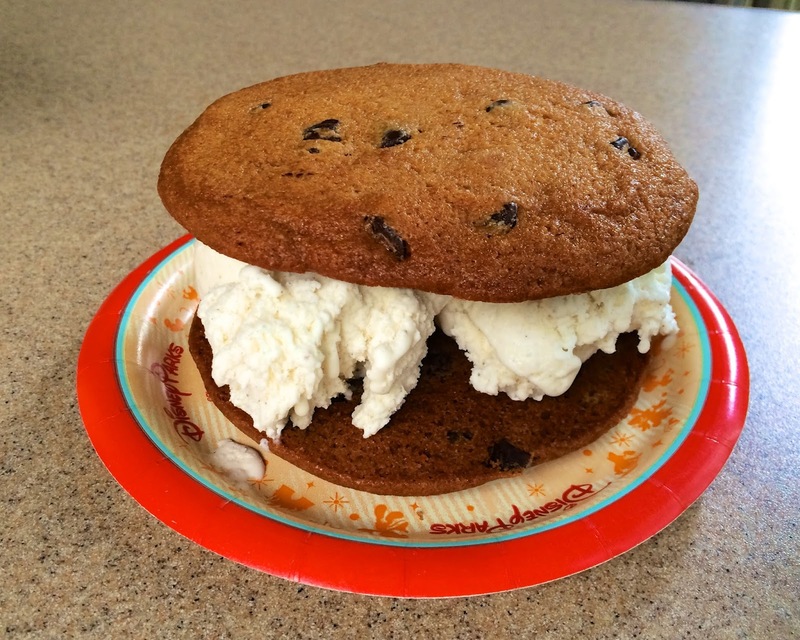 There are only a few places in Walt Disney World that you can get a hand-scooped ice cream sandwich. 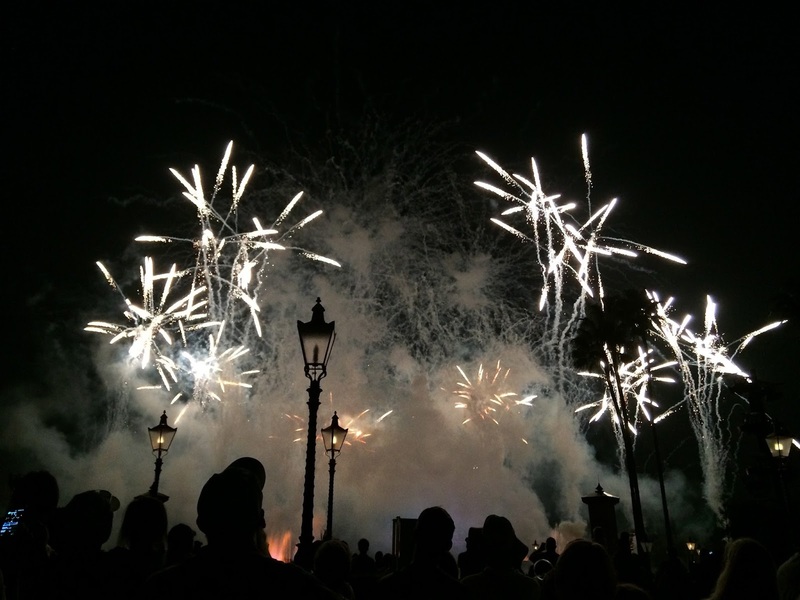 Sleepy Hollow in Magic Kingdom is one of those places. We split the chocolate chip cookie sandwich - it was yummy! 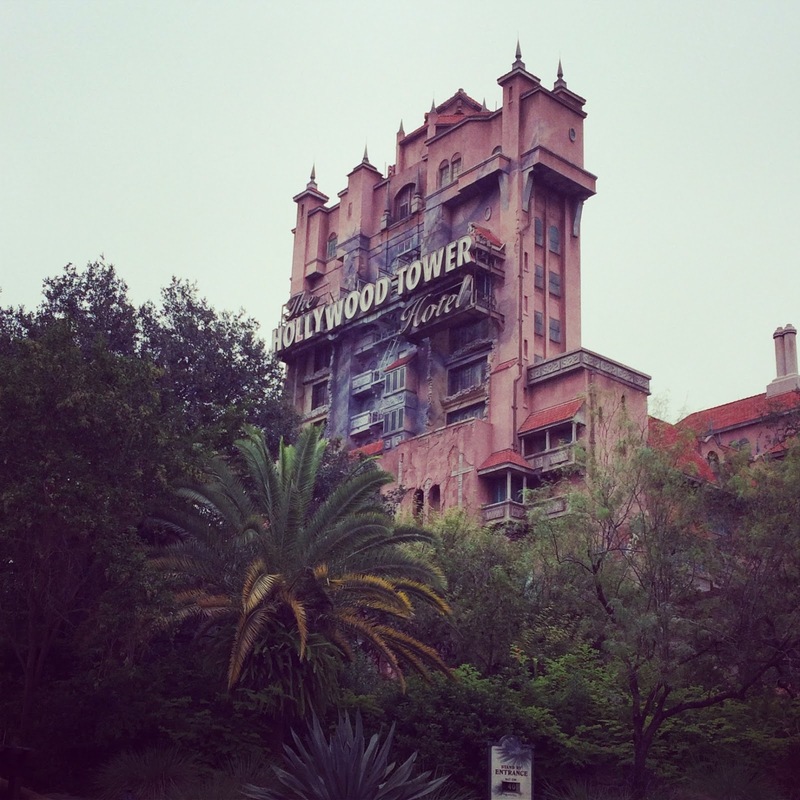 Tower of Terror is our favorite ride! 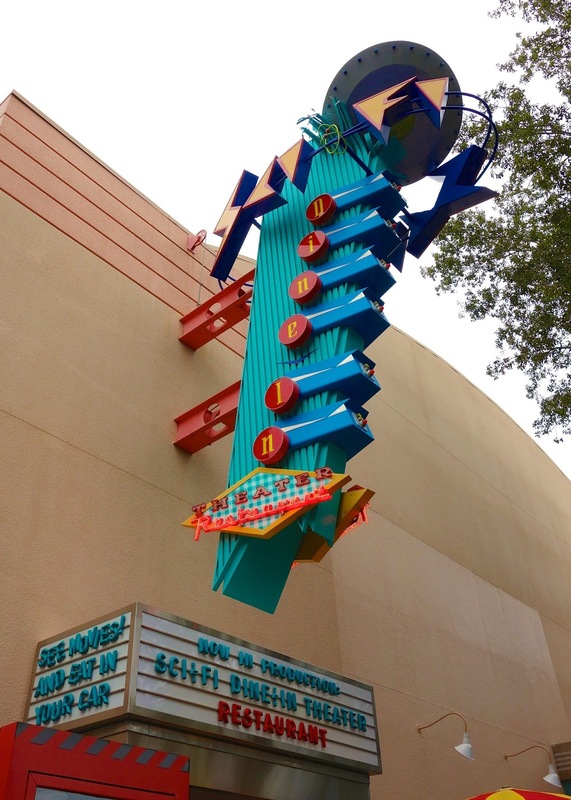 We checked out the Sci-Fi Dine-In Theater on a previous trip to WDW and put it on our list to try. I made a reservation for lunch. 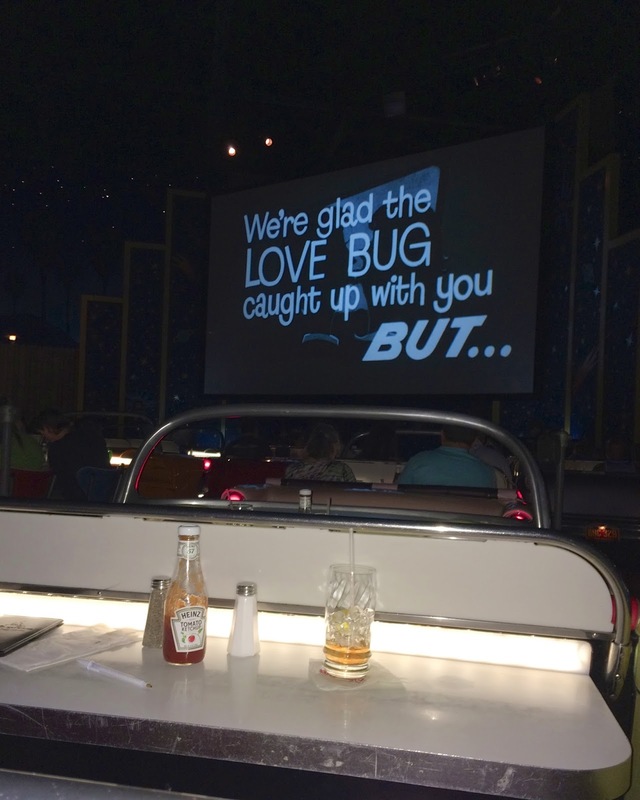 You dine in a 50s style car. We had an Oreo Milkshake, Onion Rings, a Ruben & a Burger. We highly recommend them all. The atmosphere (and free drink refills) was the best! 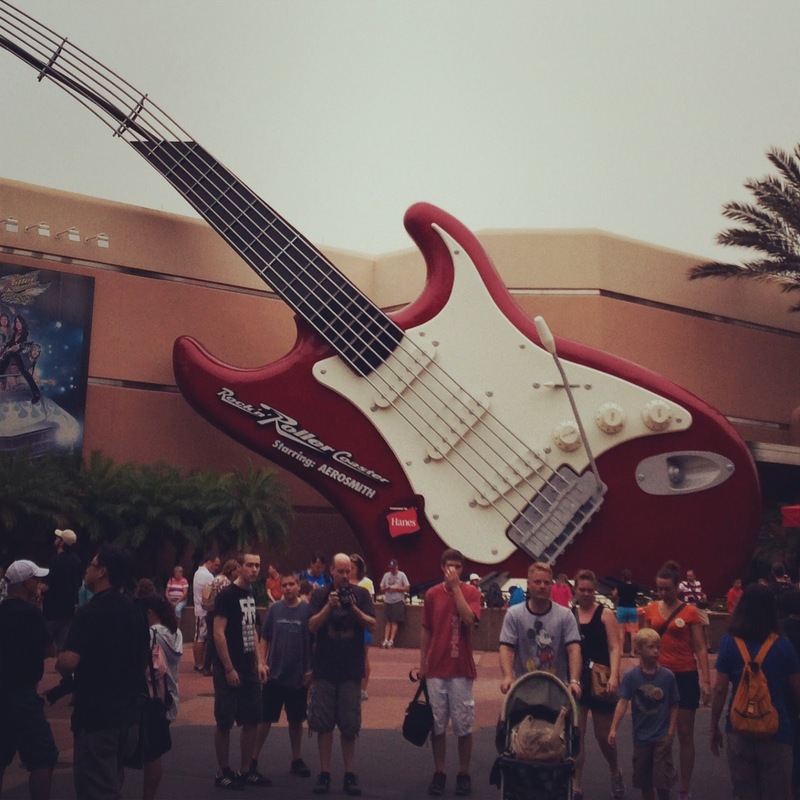 Rock'n' Roller Coaster is another favorite. The Carrot Cake Cookie from The Writers Stop is a must try. 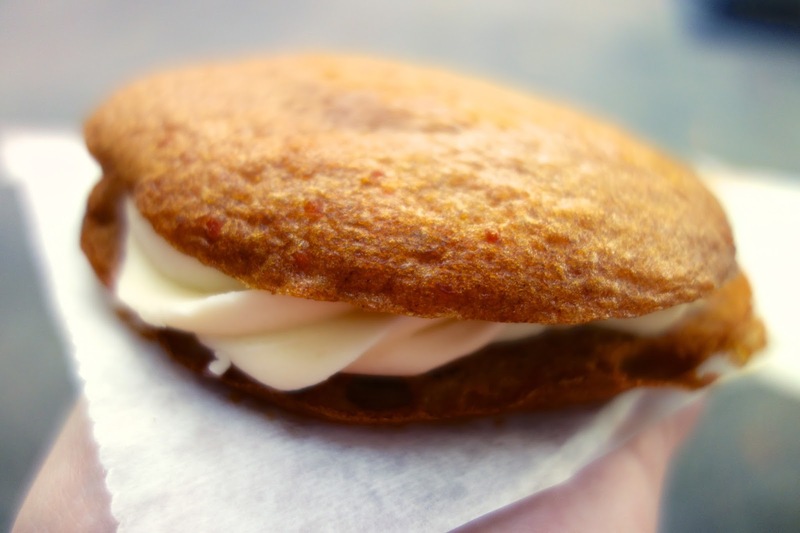 It is basically a carrot cake whoopee pie. It is HUGE and DELICIOUS! 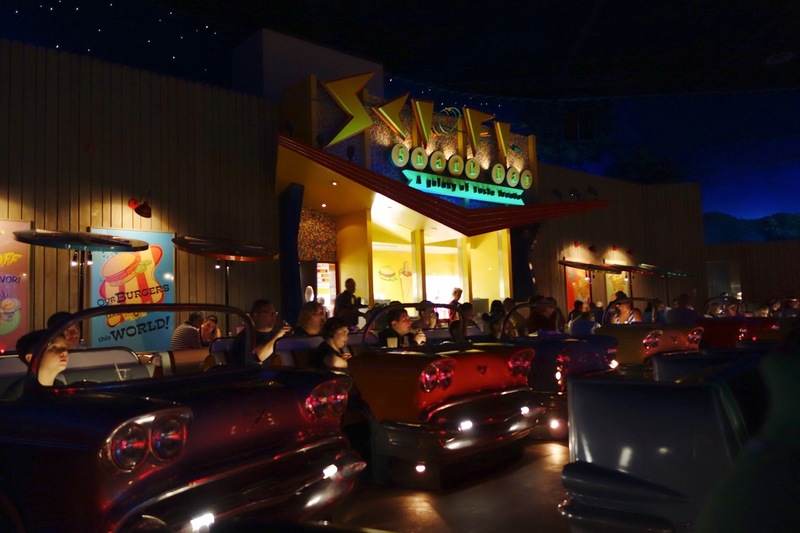 No trip to Hollywood Studios is complete without stopping in at The Starring Rolls Cafe. It is near the entrance. They serve tons of pastries. 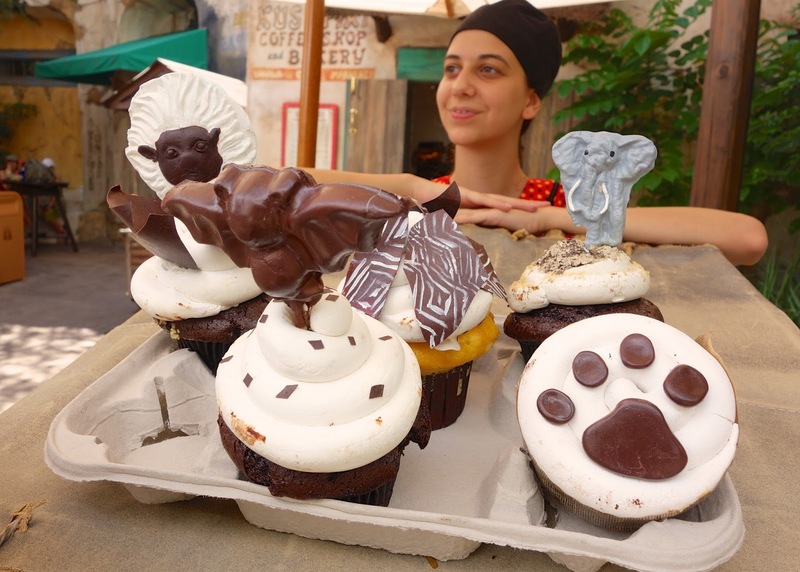 We tried the Chocolate Peanut Butter Cupcake. It was super rich, but very good. 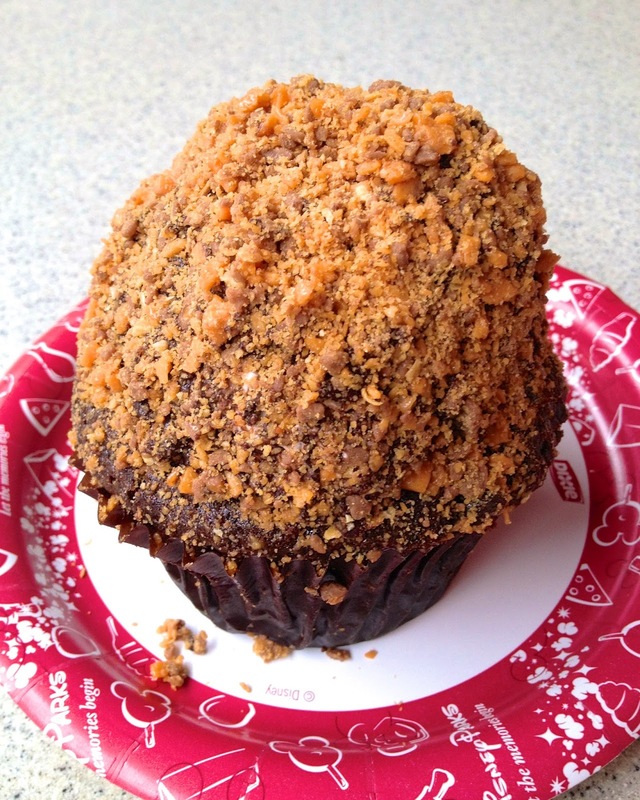 Our favorite cupcake is still the Butterfinger Cupcake. 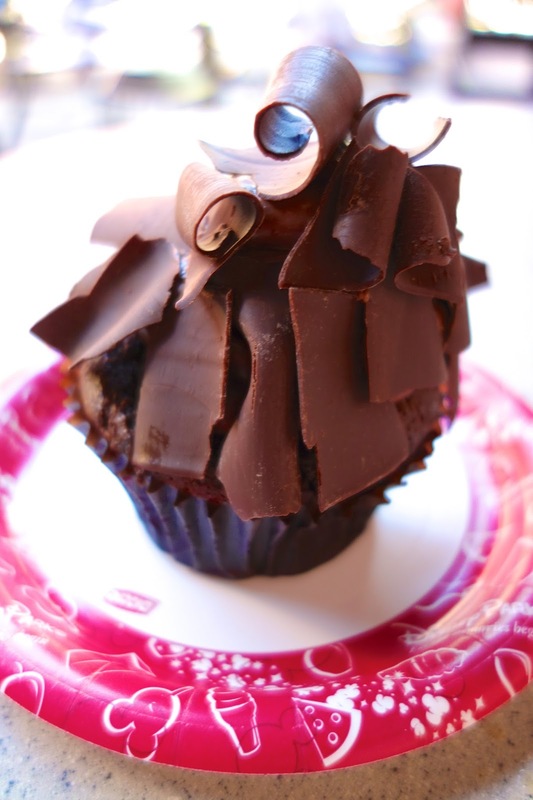 I made a version of this cupcake at home - check it out here. 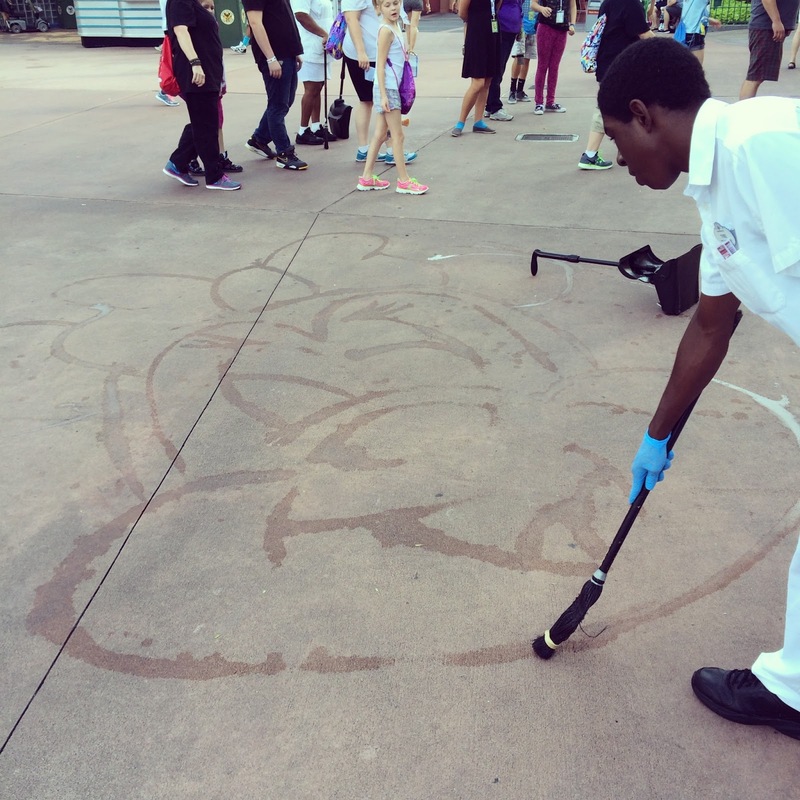 I love that the maintenance workers draw Minnie Mouse on the concrete! 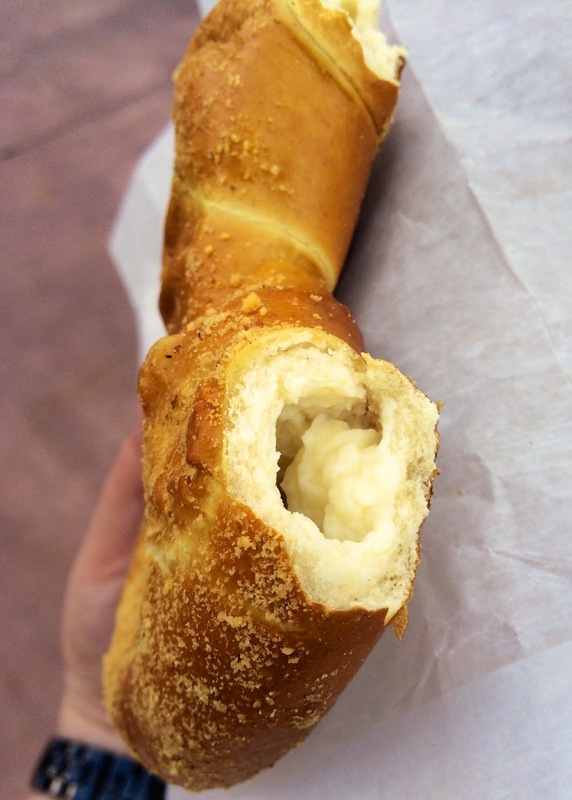 The last treat from Hollywood Studios is this cream cheese pretzel. Chicken Legs wasn't too excited about this treat, but he was singing a different tune once he tasted it. 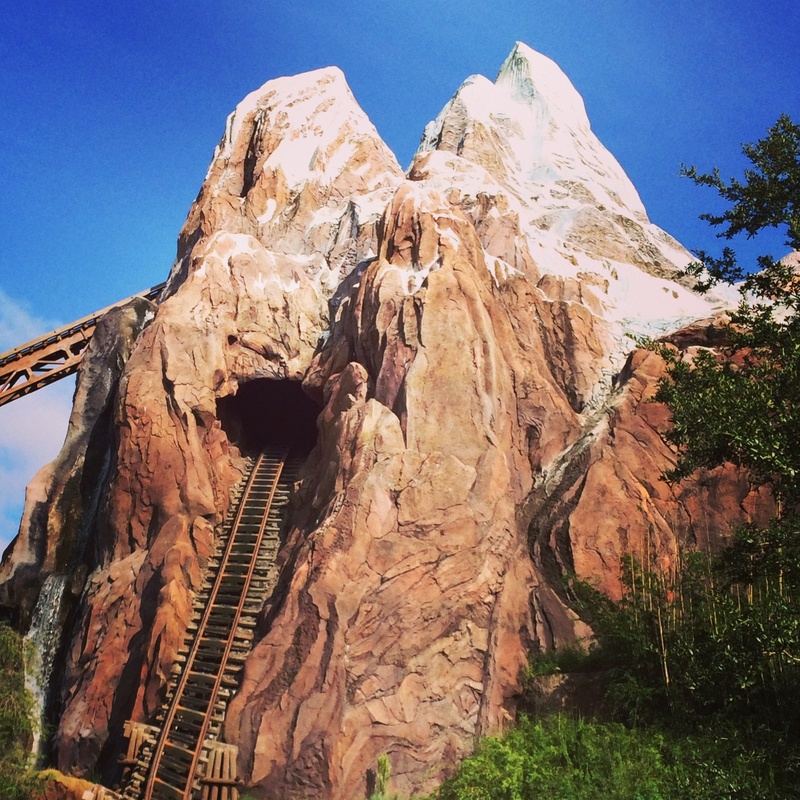 You must ride Everest. It is SO much fun! Wait for the first car if you have the time!! 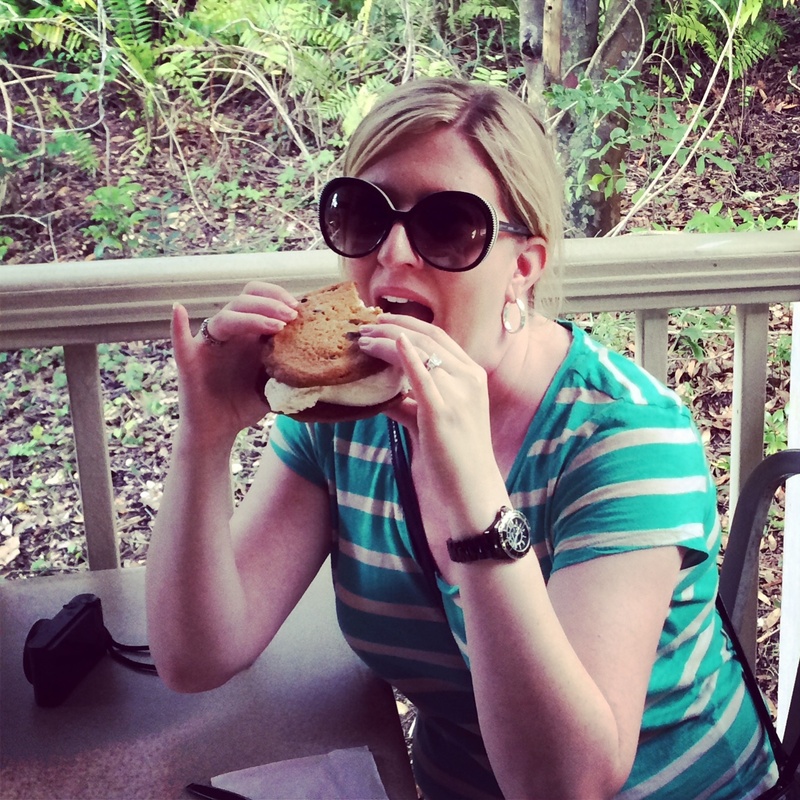 This is the BEST hand-scooped ice cream sandwich in Walt Disney World. 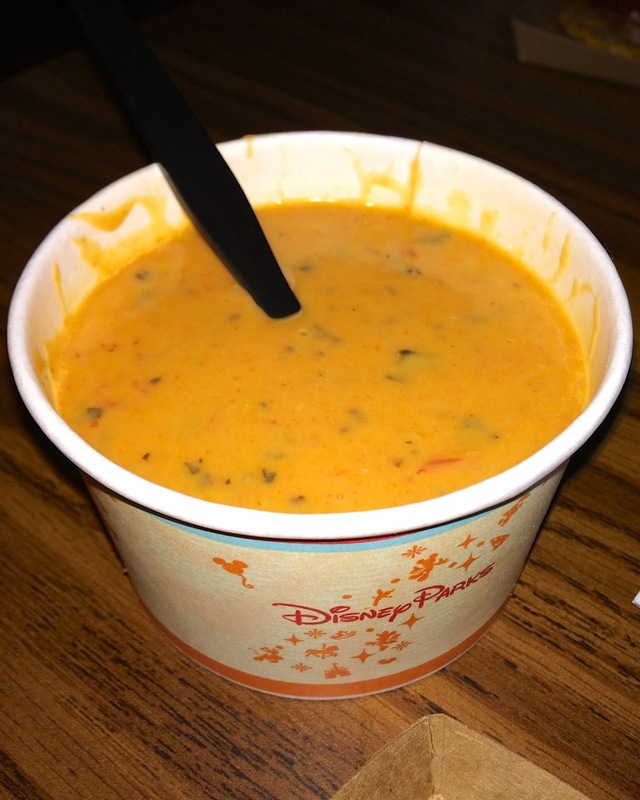 It is from Dino Bites snack stand right next to Restaurantosaurus in Dinoland. 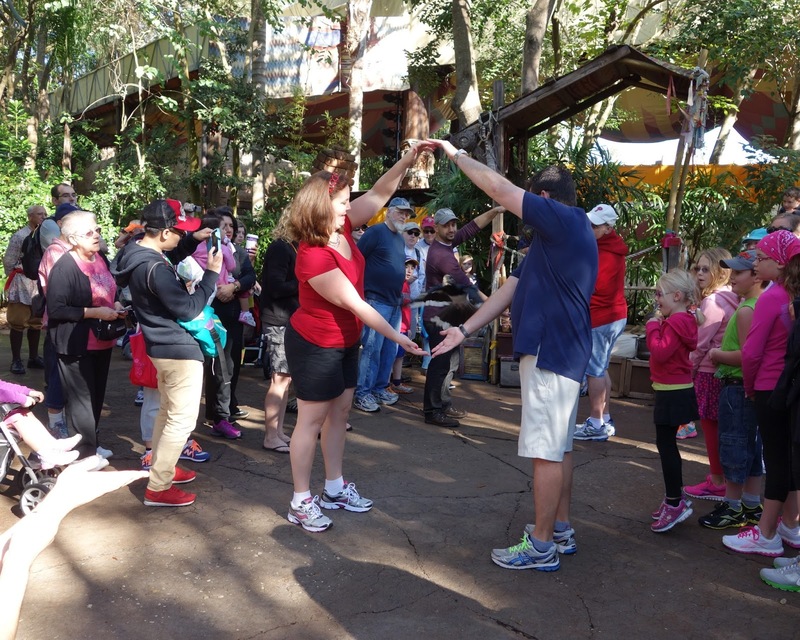 We love to take a break and watch the Flights of Wonder bird show. Chicken Legs was a volunteer - the bird is flying right in between their arms. Chicken Legs couldn't pass up the treats at the Kusafiri Coffee Shop & Bakery next to the Safari in Africa. 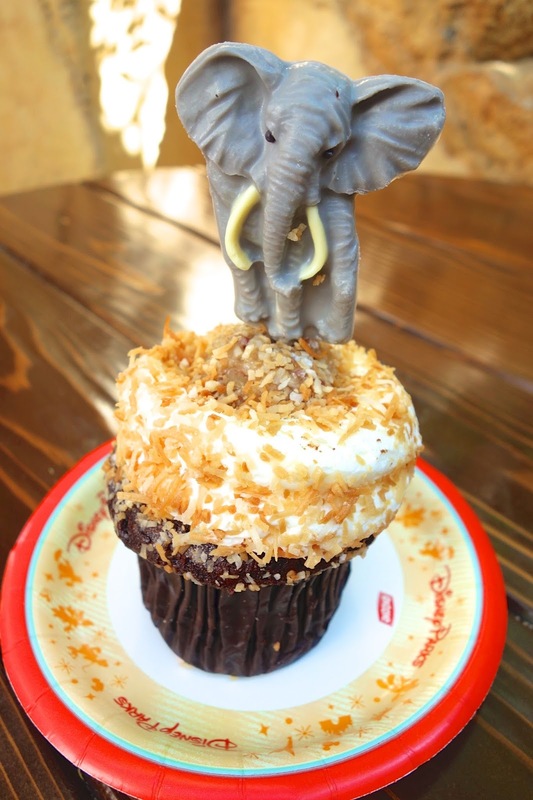 He went with the White Chocolate Elephant Cupcake. It is very similar to a German Chocolate Cupcake - on steroids! It was delicious, but we couldn't eat it all. 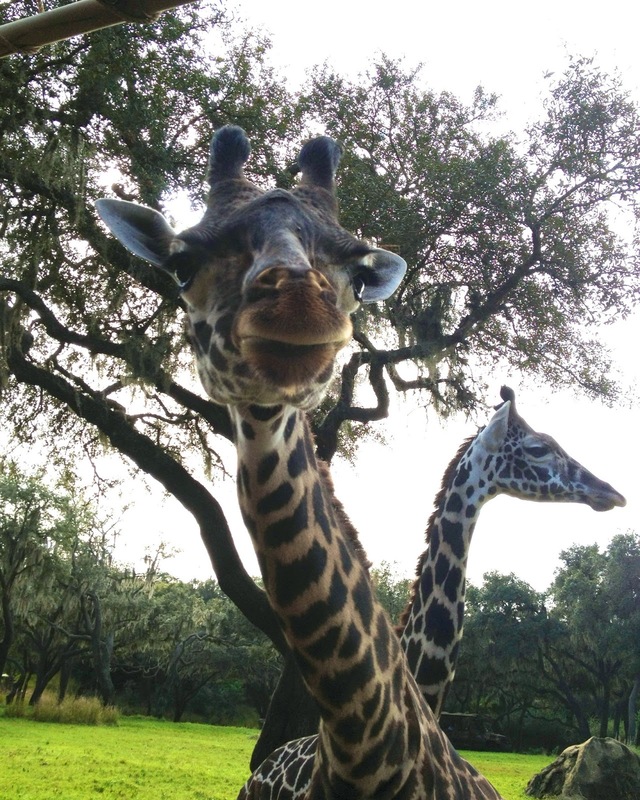 After enjoying the cupcake, we got up close and personal with the animals on the safari! 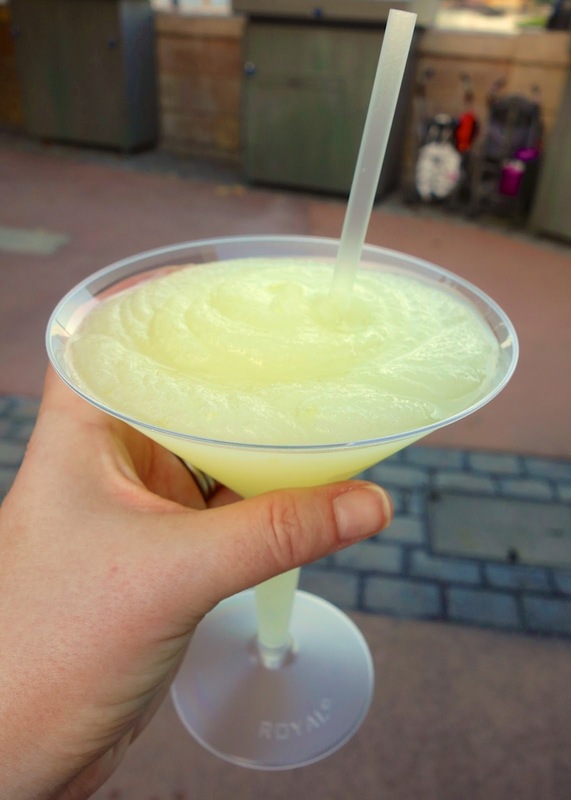 I recently discovered the Slushies in France. 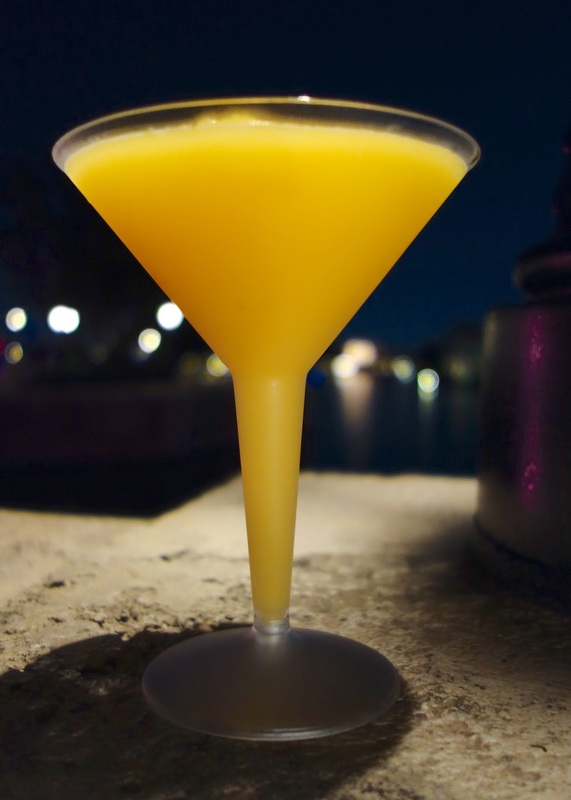 I tried the Grand Marnier Orange Slush. I also tried the Grey Goose Citron Lemon Slush. I will have to try them a few more times before I can pick a favorite! The caramel corn in Germany is out-of-this-world! 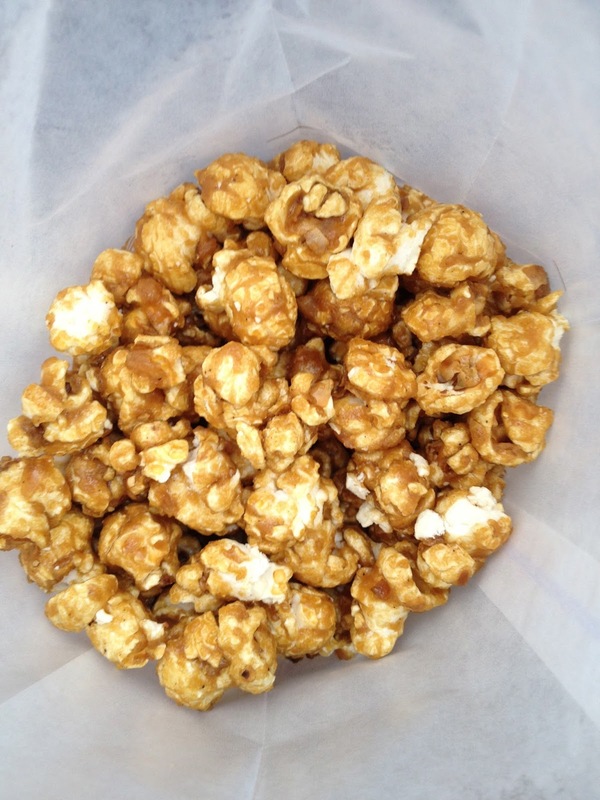 It is worth the wait in line to get a bag of fresh caramel corn. 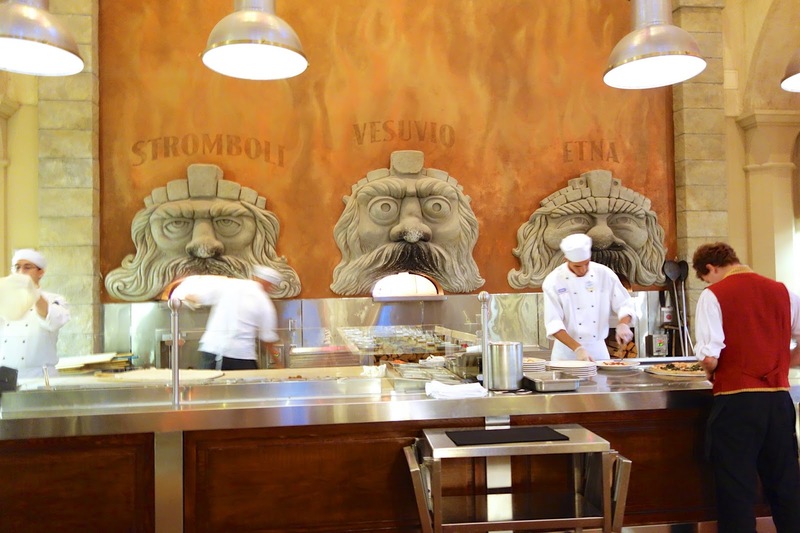 Via Napoli in Italy is our favorite place to eat in Epcot. 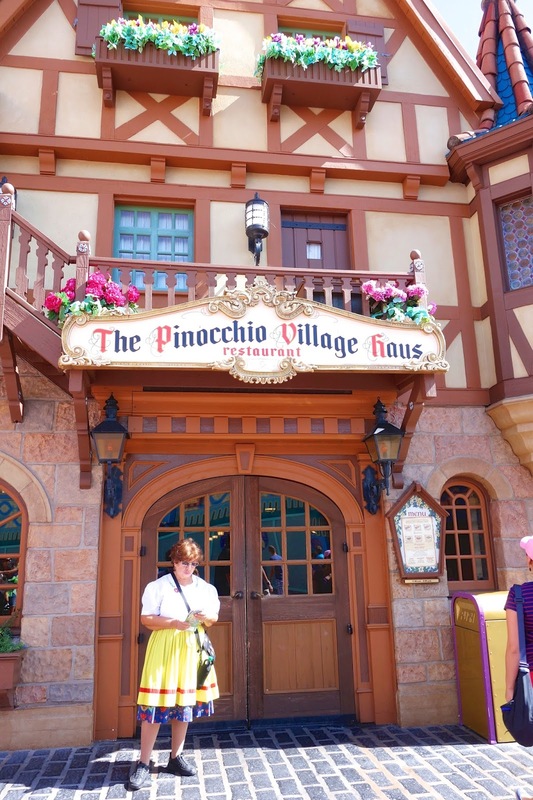 It is the same place that we ate in Disneyland. We rarely make a reservation. They have a stand-by line. The line moves pretty quickly. I think the longest we've waited is about 30 minutes. We just have a drink next door while we wait! The pizza ovens are so much fun! 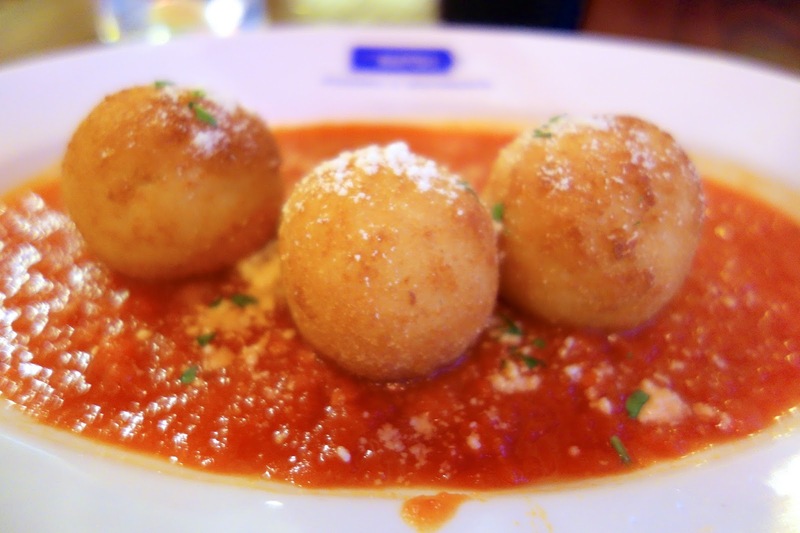 We always start with Arancini. I wish they gave us more than three. I love these things! I love everything about this pizza. 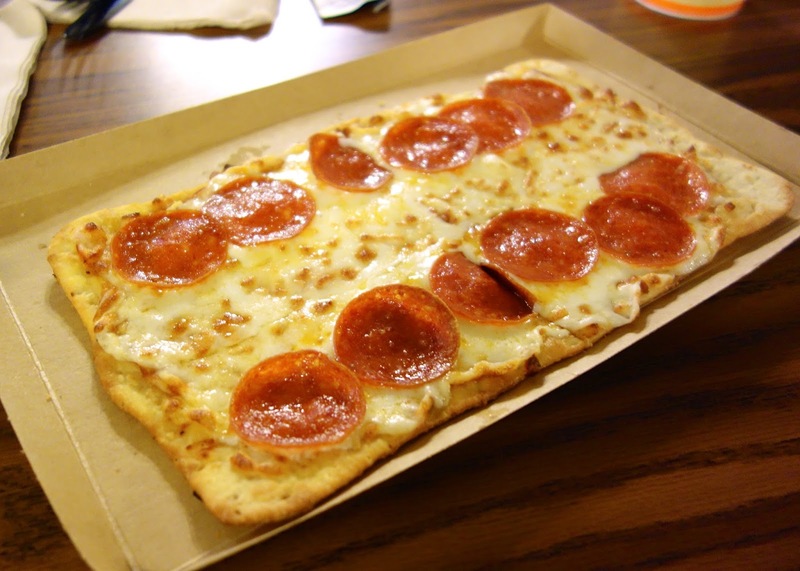 The crust is nice and chewy. I love the sauce and fresh mozzarella. I also can not get enough of the crispy curled pepperoni! 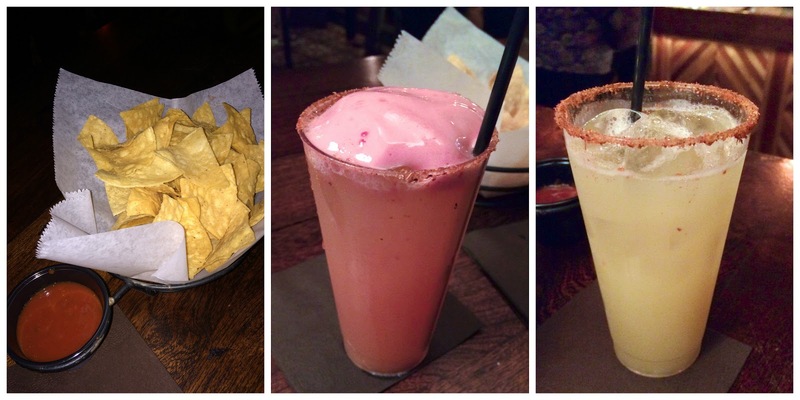 La Cava del Tequila in Mexico is our favorite place to have a drink. They don't serve dinner. They have mostly snacks and lots of tequila. They serve flights of tequila shots. We've never done it, but we've watched several people do it. People do a shot of tequila and chase it with a shot of salsa. I don't know how they do it! The salsa is spicy - we love it. 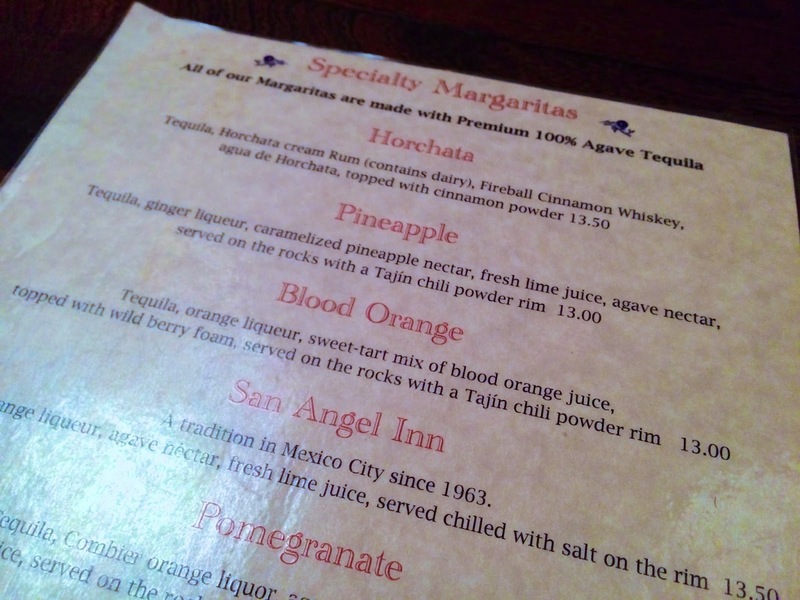 I went with the Blood Orange Margarita. Chicken Legs got the Pineapple Margarita. 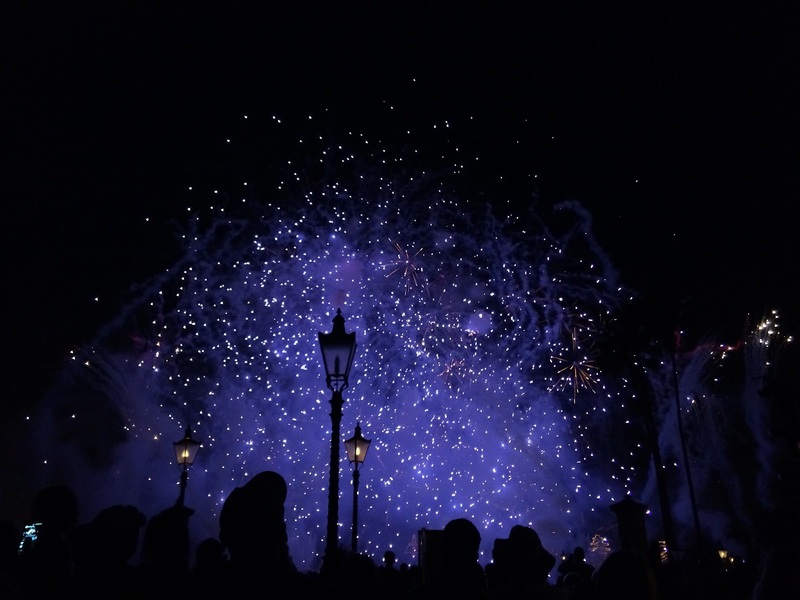 Make sure to stick around for the fireworks at the end of the night. 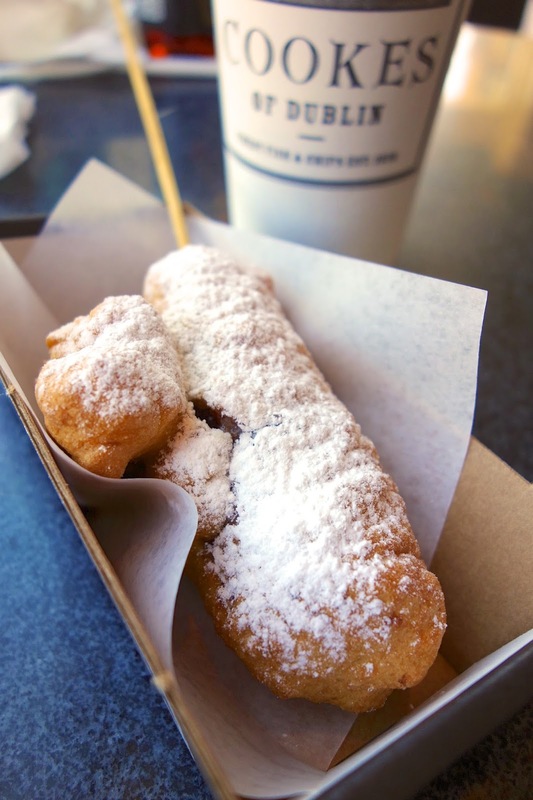 Next up is our favorite new food find in Downtown Disney. Oh, yes! It is as good as it sounds. You can get one at Cookes of Dublin. 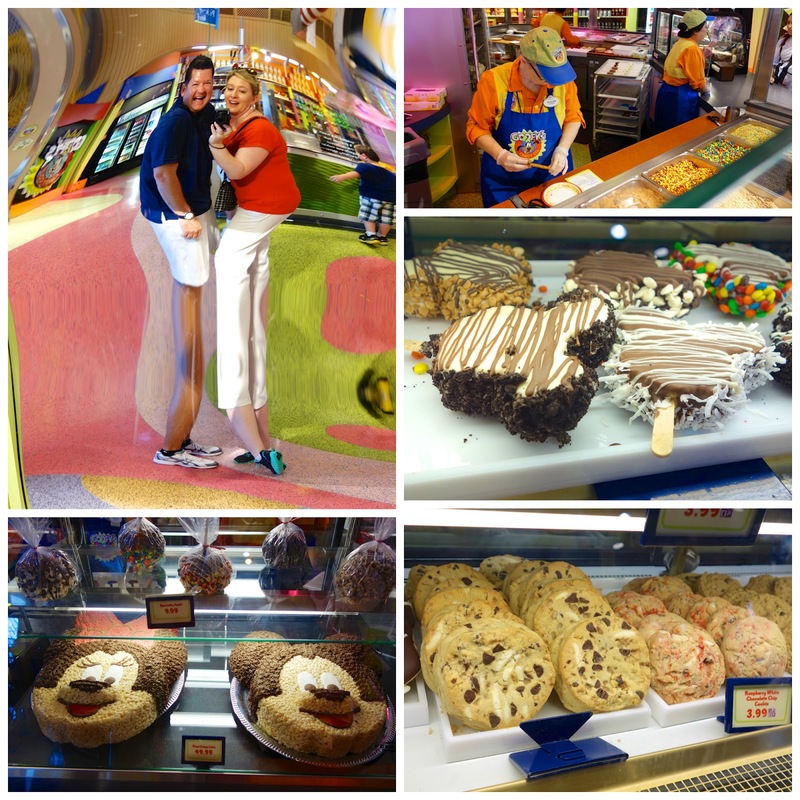 We always love browsing Goofy's Candy Shop. We wish we could eat everything in here. Especially those Mickey and Minnie Rice Krispy cakes and those cookies. YUM! We also loved posing in the goofy mirrors. 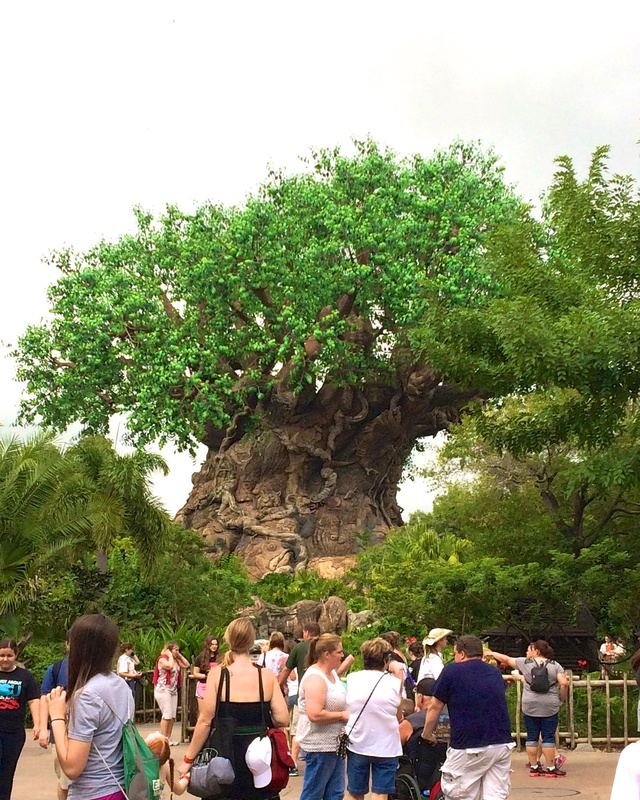 OK, now I am off to plan my next trip to Disney World! What is your favorite spot to eat? I am always looking for new places!! Thanks for sharing! My husband and I are planning to go to WDW late April. 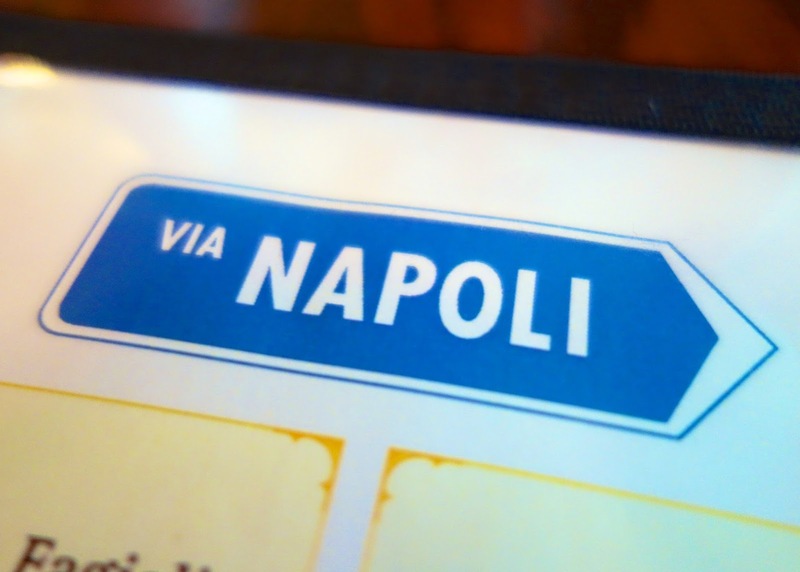 Haven't been in a long time and made reservations for Via Napoli! 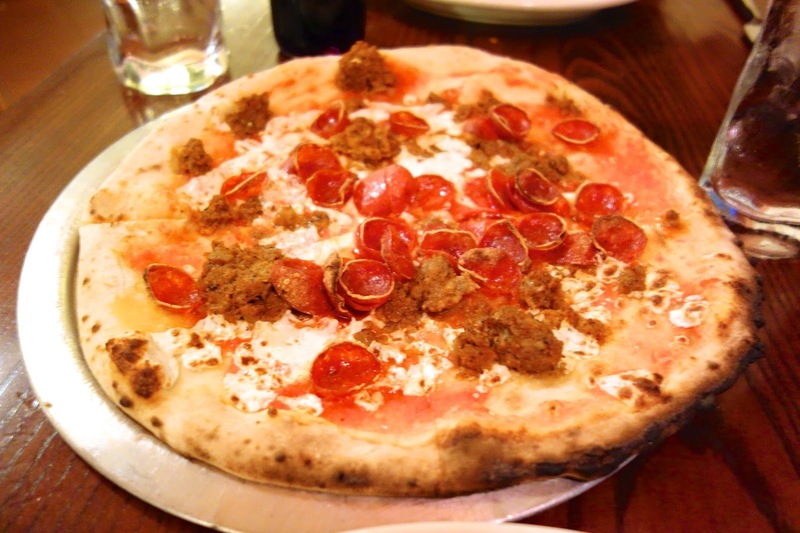 We love pizza, so I knew we had to try it and heard great things about it. Will have to try some of the goodies you posted too. They all look delicious! I love you for this post! Of all of your Disney posts, the foodie ones are the best ones to help me get my Disney-fearing husband to take the plunge! 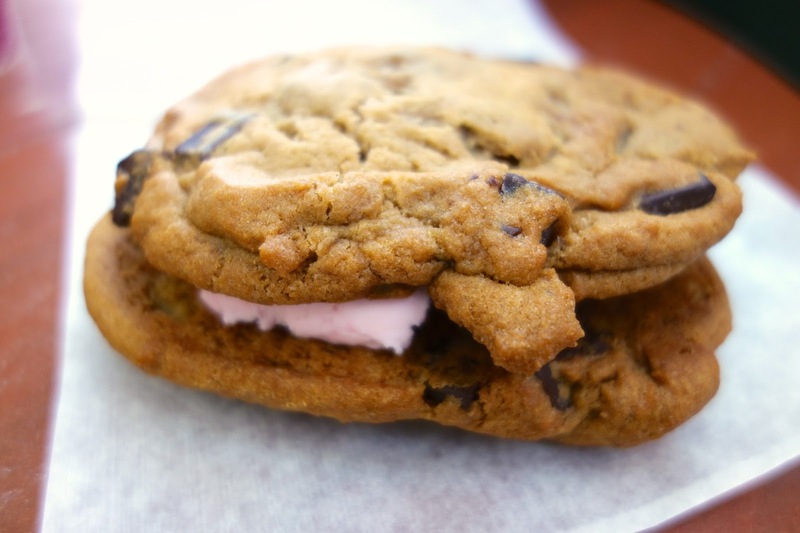 Those ice cream sandwiches are reasons enough to go! Love this post! That picture of you guys in the fun house mirror is so cute! We're local with a 4 year old so we're at WDW all the time but don't eat too many sit down meals, can't afford to do it all the time. At Magic Kingdom I like the gourmet mac & cheese at the Friar's Nook (next to Winnie the Pooh). There's a cheeseburger mac & cheese that I've never tried and they have a blue cheese & balsamic mac & cheese that's yummy. At Animal Kingdom, Yak & Yeti has a really nice salmon dish with jasmine rice. I loved the meatloaf at the 50's Prime Time Diner at Hollywood Studio (disclaimer: I was pregnant every time I had it and was craving meatloaf - it could have been horrible for all I knew but the hormones were driving that one!). 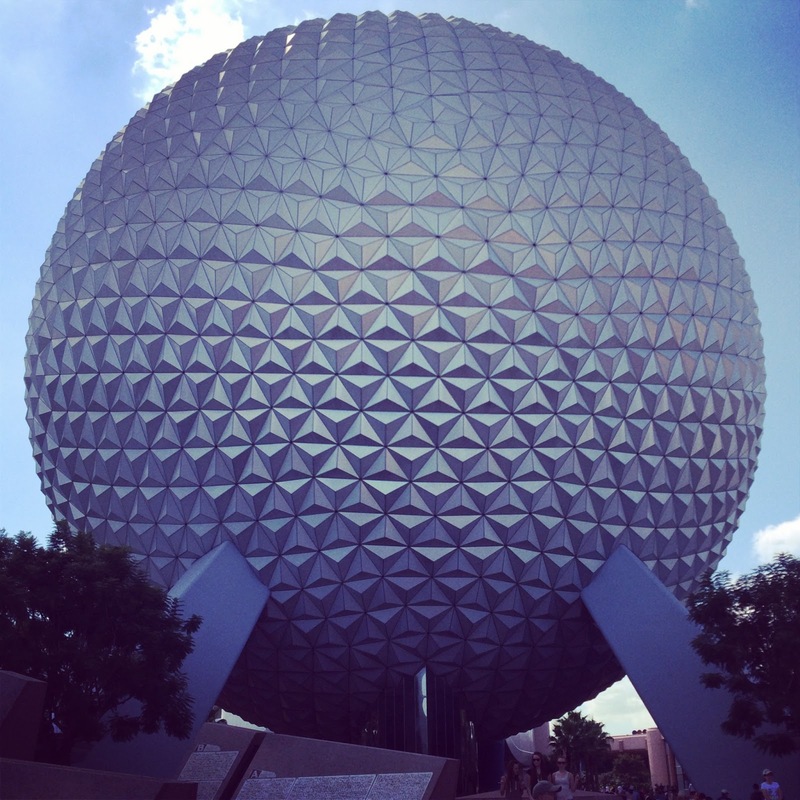 Epcot is our favorite place to eat as well. Can't go wrong with any of the food in Italy. Yes, the caramel corn in Germany is delicious and the chips & salsa in Mexico is addictive! I like the 5 Spice fish dish that they have in China for a sit down dinner. They just opened a new outdoor restaurant in Morocco a few weeks ago with small plate appetizers. Haven't tried it yet but it looks yummy!